A series of two income tax courses totaling 90 hours must be completed within 9 months. 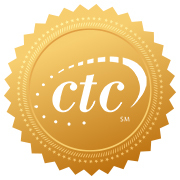 Plus, there is a 100-hour experience requirement to receive the CTC designation. After completing the first tax course, you’ll have enough tax knowledge to start working towards your 100-hour experience requirement. Plus, you can start earning money! Chartered Tax Certificate students are held at a higher standard and must have an average grade of 80% or higher within the program to earn a Chartered Tax credential. Certificate students must have an average grade of 80% or better within the program and fulfill the 100-hour experience requirement to achieve the designation. A printed certificate suitable for framing will be mailed upon successful completion of all two courses,plus the experience requirement. 6 months from date of registration to complete the course. Extensions can be purchased if more time is needed. 3 months from date of registration to complete the course. Already Have Some Tax Knowledge? If you’ve already taken the Comprehensive Tax Course from us, you can still register for one of our Chartered Tax Certificate Programs and we’ll submit your completed course into the program. Or, if you already have some tax knowledge under your belt from another source, you may test out of the Comprehensive Tax Course only, register for one of the programs and move on to the next course. The cost to test out of the Comprehensive Tax Course is $100. Start by purchasing the test out and our school administrators will advise you how to proceed from there. What are the prerequisites for the certificate program? What credentials does The Income Tax School have? Who is this certificate program suitable for? What are the system requirements for the certificate program? What materials are included with the certificate program? How much time do I have to complete the certificate program? Will I be taking the courses all at once or consecutively? These certificate programs are suitable for all adults who seek a fast track to a professional white-collar career. Tax preparation is especially appealing to those who would enjoy helping other people by making the intimidating task of tax preparation a pleasant experience while saving their clients© money by minimizing their tax liabilities. Stay-at-home parents with young children find tax preparation a convenient profession as they are able to be off when their children are out of school for the summer, yet maintain their professional skills. Early retirees find tax preparation a rewarding second career enabling them use their minds while helping people and still have time to travel, play golf and spend time with their grandchildren. College students find tax preparation an opportunity to gain professional work experience and credentials to strengthen their resumes. Moonlighting professionals find tax preparation a source of extra income during winter months. Blue collar workers can enter new white-collar professions through tax preparation. Many employed and self-employed individuals such as financial services and real-estate professionals find tax preparation a complementary profession to earn extra money and also generate leads for their other professional activities, while also enabling them to better serve their clients through knowledge of the tax consequences of their clients© decisions. In order to provide you with the most up to date materials at the time you start your courses, you will be enrolled in one course at a time and complete them in consecutive order. Even though you have a total term for the program, we recommend to complete each course within the time frame that each course is termed. The terms of each course are listed below. If you already have some tax knowledge under your belt from another source, you may test out of the Comprehensive Tax Course only, register for one of the programs and move on to the next course. The cost to test out of the Comprehensive Tax Course is $100. Please contact us by calling us at 1.800.984.1040 or by emailing us.If you©ve already taken the Comprehensive Tax Course with The Income Tax School, upgrade your course to a certificate program. If you are currently enrolled in or have completed an ITS course or certificate program and your term has not ended, your current fees may be credited toward a higher level certificate program. You only need to pay the difference of the two programs. There is no additional upgrade fee. If you©ve already completed an ITS course or certificate program with us and your term has ended not more than 9 months ago, you may still upgrade by paying the difference of the two programs, plus a nominal re-enrollment fee of $25 to cover processing. If you©ve already completed an ITS course or certificate program with us, and it is past 9 months but not more than 18 months since the end of your term, you may still upgrade by paying the difference of the two programs, plus a nominal re-enrollment fee of $50 to cover processing. Call us at (800) 984-1040 to upgrade today! 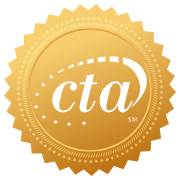 I just wanted to let you know how much I enjoyed taking the CTA certificate through The Income Tax School. As soon as I received my books (within 2 days) and logged on I could tell how organized the Certificate Course was going to be. If I needed to call The Income Tax school, everyone was very helpful and responded immediately. The content and the online class was easy to comprehend and work through based on the way it was written. It was also very helpful to see my progress as I worked through each chapter. I loved it so much that I have now upgraded to the CTC course. I am so glad that I found your certificate courses – the knowledge that I am gaining is helping me in my new career choice in Tax Preparation. The CTA program at The Income Tax School was one of the most rewarding experiences. 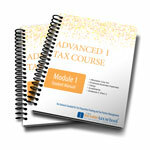 This program takes you on a tax journey you will never forget. I have gained knowledge in all facets of tax and have never felt more confident that I do now to pursue my career in taxation. 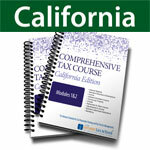 This program prepares you for every detail you could encounter in the field of tax. I enjoy preparing tax returns and this program has finalized this enjoyment for me. The instructors are extremely helpful and guide you through wherever you have a problem. It is truly a wonderful environment where everyone wants you to succeed and become the best tax preparer you can be. I recommend the Income Tax School for furthering your tax knowledge, learning updates on tax law, and gaining truly rewarding designations that will only enhance your career. 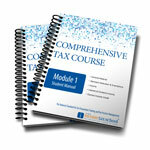 There is no better way to be taught than through the Income Tax School. I am really enjoying these courses. It is hard, but the curriculum does a great job both in the way it is written and the order that concepts are presented. If you would like to start your own tax business, we highly recommend using this guide.